Thank you for taking part in the first ever Útilív Adventure Festival! When we started planning last October, we soon realised that organising a trail race in the Faroe Islands was going to be a fairly complex operation. The lack of existing trails and worn down paths on the islands make creating a course (or four!) a precarious task. But it’s one of the reasons that drew us to the Faroe Islands initially, and I’m honoured to have shared the first trail marathon and ultra-marathon in the Faroe Islands with runners from all over the world. The success of Útilív Adventure Festival was largely down to the incredible efforts put in by the wider event team who we owe a huge thanks to. As a first year event, we were dependent on the contribution of sponsors, individual volunteers, community groups and friends who came in to pull together skills and experience to assist with the event. We are hugely grateful to our sponsors, Visit Faroe Islands, Atlantic Airways, SILVA, Salomon, Suunto, Sunda Kommuna, and Tórshavn Kommuna, for making the event possible through their support and contribution. I am incredibly moved and inspired by the voluntary work of all the people in the Faroe Islands. Without the hard work and knowledge from Hans Mikkelsen (Race Coordinator) who contacted the farmers and landowners, we would not have been in a position to create the routes across Streymoy, through various municipalities and farmers land. 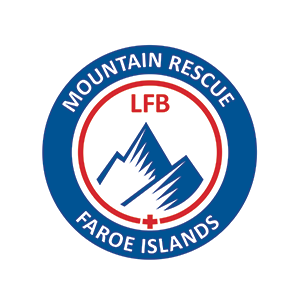 Hans also did a sterling job of coordinating the safety team, consisting of volunteers, the Faroe Islands Mountain Rescue team, checkpoint managers and Faroe Islands Red Cross personnel. The Scouts and Scout Leaders of Kvívík (CP2) and Sunda Kommuna (CP5) played such a cooperative role and bought a huge amount of enthusiasm and local support that I cannot show enough gratitude for. The amazing folk from KOKS also did a brilliant job at CP1 on the marathon and ultra-marathon course. It was pretty cool to have the world's first Michelin-starred checkpoint! It is clear from all the feedback from participants that the support from checkpoint boosted your morale. There’s nothing more welcoming than a smile during a mountain race, and I know the scouts went above and beyond to be welcoming at their checkpoints. It was a pleasure to work alongside experienced race director Charlie Sproson (Mountain Run/ Lakes Sky Ultra) in the delivery of a safe and successful race. Charlie's guidance and support as a mentor was much appreciated and he was an invaluable member of the team. We owe a huge thank you to Michael and Ólavur from the Útilív shop in Tórshavn. Without them, a lot of logistics and permissions on a local level would not have been possible. As an event team, we are very grateful to the photographers and videographers who ran around all weekend to document the event. Ryan Lovejoy (Videographer), Jack Atkinson, David Atlabev, and Scott Seefeldt (Photographers) captured some amazing and memorable moments. It goes without saying, but the trail running community is so supportive, and this really showed on the days leading up to race day. We had an enormous amount of help from close friends and members of the running community. The route marking, administration, and registration could not have operated smoothly without them. The start and finish atmosphere at the race was pretty epic, and I’m so glad that the feedback we’ve had about the location, atmosphere, and music matched our own plans for how it should feel. It was eerie, it was epic, and as an avid trail runner, it was awesome to see it come to life. Firstly, thank you to anyone who has taken the time to provide us with feedback, both personally and via the feedback survey - as always it is invaluable to hear your thoughts. From an event management perspective, there are many aspects we are aiming to improve on for next year. We are working on ways to mitigate the risks and limit the issues encountered to give you all a better experience. There are two issues, however, that I’d like to address specifically, and hope it settles some concerns. The first and most common issue was the route markings on the Útilív Mountain Half Marathon (21km) which undoubtedly caused some safety concerns in the fog above Tjörnuvík. Marking this section of the course had to be abandoned a couple of times due to bad weather in the lead up to race day. Unfortunately, a short section was only completed on the morning of race day by some less experienced members of the event crew. In this part of the course, any slight route marking errors were compounded by hungry sheep (who were sighted both eating and walking off with flags!). We also experienced problems in this part of the course with some flags being blown away by high wind. As soon as we were aware of the issues, the course was re-marked by Hans Mikkelsen, but unfortunately, it was too late for the faster and mid-pack runners of the 21km race. As often happens in mountain races, navigation can be an issue in dense fog, especially where there are no trails to follow. We are sorry if this impacted your experience of race day. We really appreciate runners who came together to find the course marking flags, putting the safety of others before any competition. The weather in the Faroe Islands is always very changeable and unpredictable, and this was evident on race day. The decision to cut the course for the ultra-marathon short was important to not have runners out on that section in thick fog, and I’d like to thank you for your understanding on this if you were re-routed. The second issue I’d like to address is the pre-event material and race/course descriptions. I understand the difficulty of the terrain in which you all ran through on race day. It is uneven, boggy, and incredibly tough to run on over long distances. We aimed to incorporate as many existing ancient trails as we could over the longer distances, but as these are minimal in the Faroe Islands, traversing over vast expanses of harsh and rugged terrain is often the only option. Detailed route information was disclosed in emails, and on our website, but I understand more must be done to make runners aware of the terrain expected. 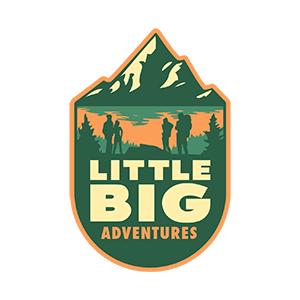 For 2019 we’ll be doing a lot more to manage expectations of terrain, elevation, distance, and weather, in order for participants to know what experience is required. The challenge for us was to create courses that were technical, demanding, challenging but also that explored the most stunning parts of the Faroe Islands that are remote and off-the-grid. It is my aim for future years to invest more time into descriptive information on each course, allowing for participants to make a more informed decision of which distance may be best for them, and ensure they have the correct experience required. It was an enormously rewarding weekend for us as an event team, and for me personally to have everyone safely off the mountain. I sincerely hope you enjoyed race day, and whether you completed the course or not, have a heightened sense of adventure, a new found love for the Faroe Islands, and on-going admiration for trail running. We’re putting plans in place for the 2019 races, and it's shaping up to be another incredible weekend of trail running.